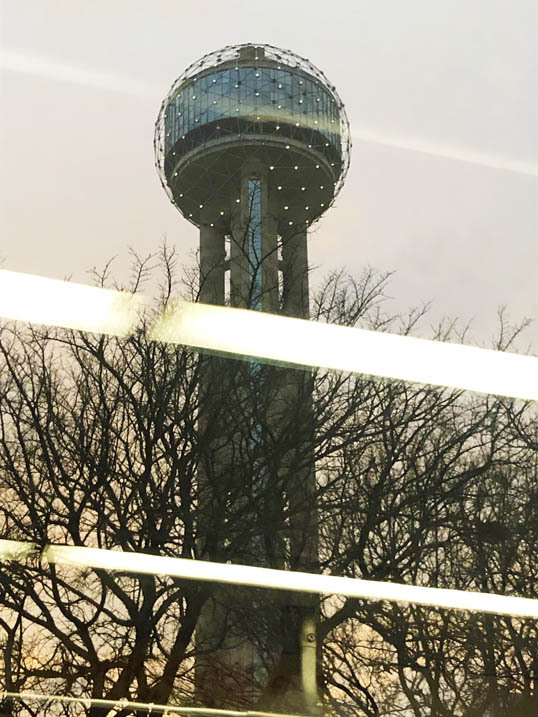 Reunion Tower, taken from inside the Dallas Streetcar. On my way to Bishop Arts for a discussion of Gravity’s Rainbow. I remember the first time I saw it – in 1979 (it was only a year old) and driving from Kansas to Padre Island. 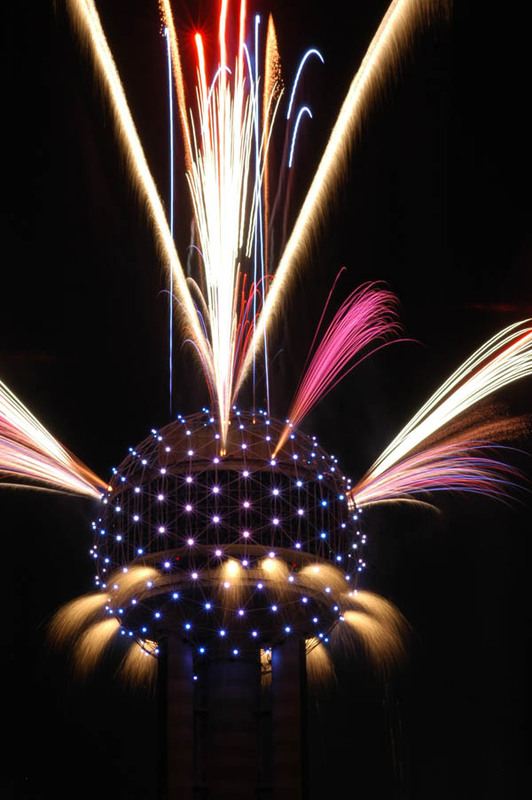 We took the I35 Route through Dallas (instead of I35W through Fort Worth) and there was Reunion Tower, looming up next to the highway. Unexpected, it was pretty impressive. 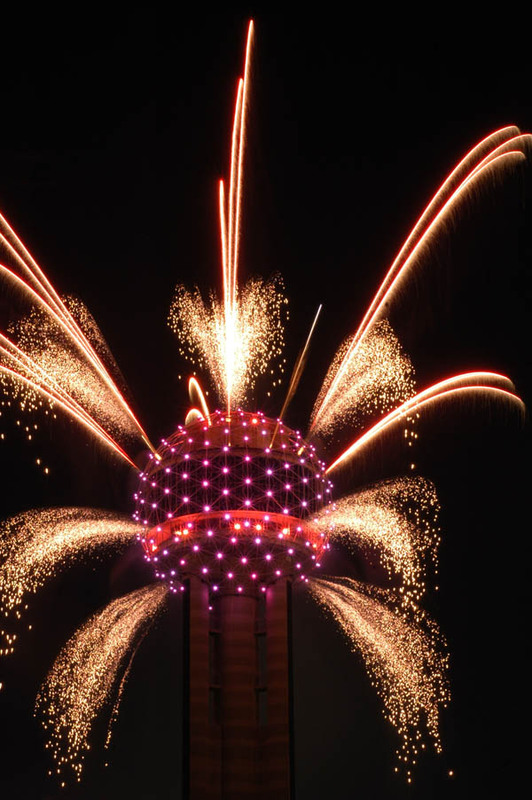 Not long after, I saw the tower in a little seen science fiction film on PBS – The Lathe of Heaven. 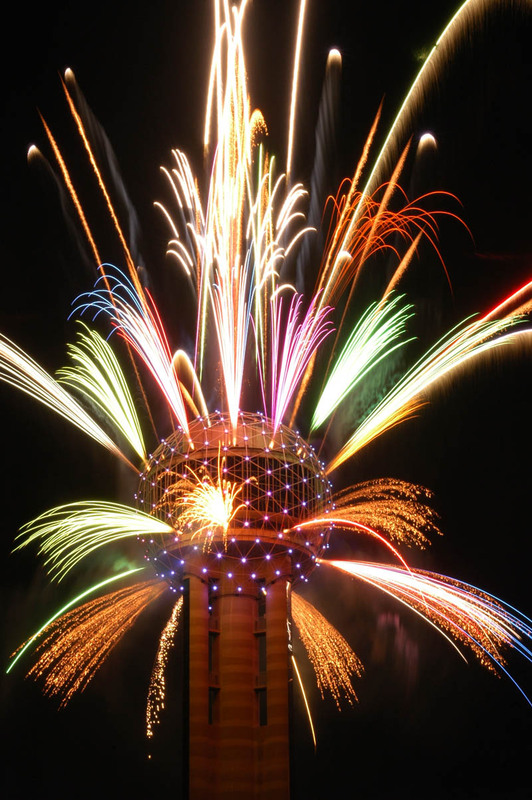 Reunion Tower was part of an enormous “dream machine” that warped reality. Then, after I moved here – every now and then I’d take people up to the bar in the ball. The view from up there is pretty cool. Now they have rebuilt and remodeled the Observation Deck on the tower. 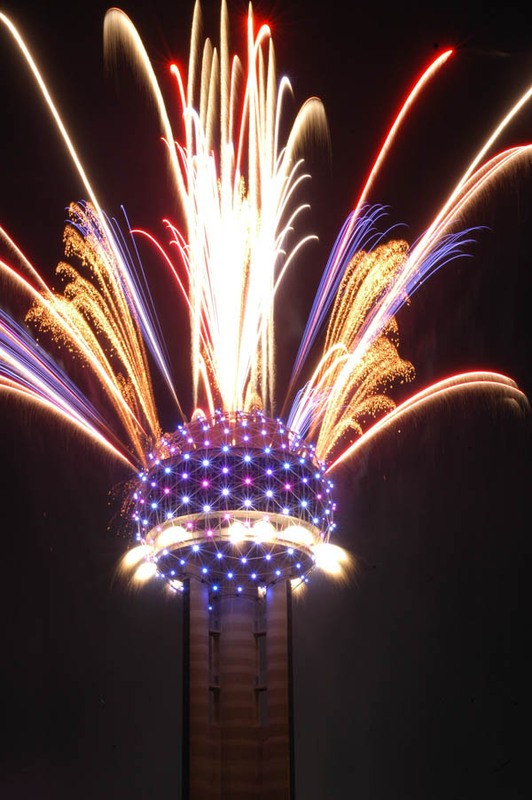 After I drove my bike downtown and watched the video show on the side of the Omni Hotel, I moved over to watch the fireworks show that was supposed to go down. I chatted with the photographers, cops, and general gawkers up there – nobody knew any details. 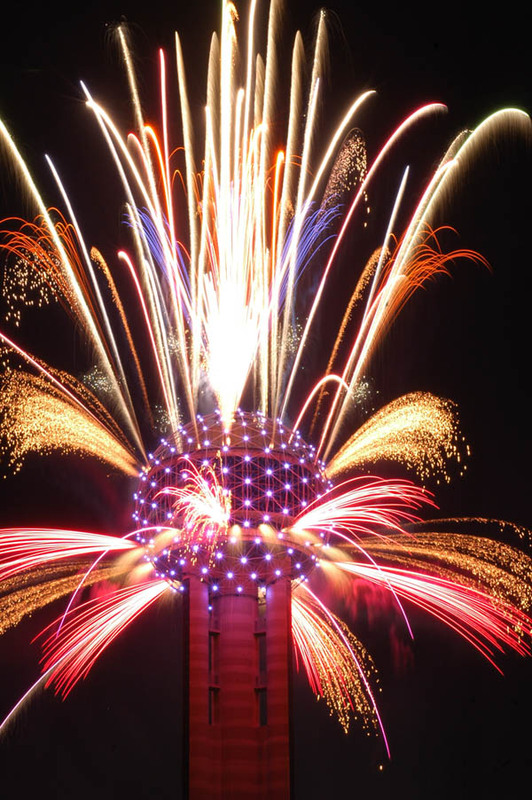 We all assumed the fireworks would be fired from the big empty field that sits where Reunion Arena used to be. Finally, the show started. 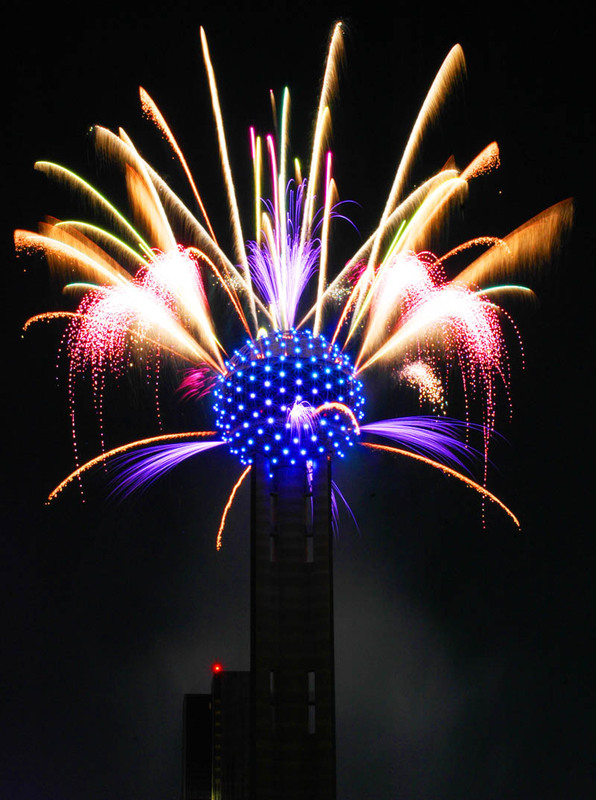 The fireworks were fired directly from the tower itself. 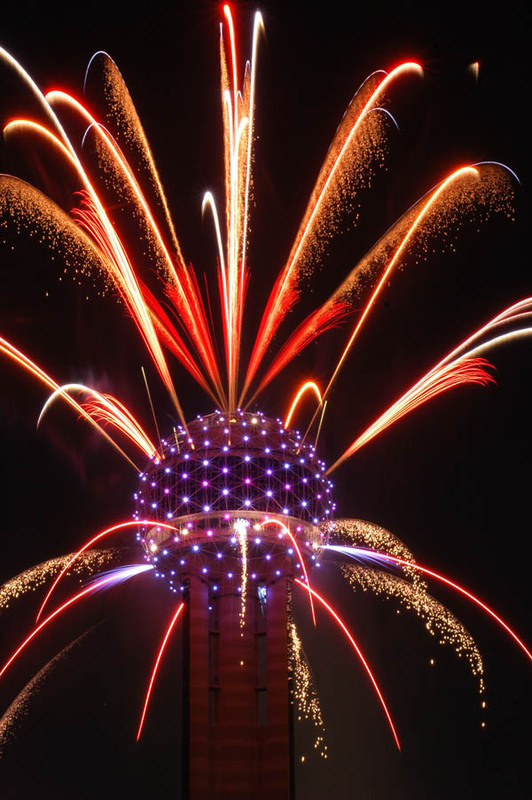 It was amazing – probably the best fireworks show I’ve ever seen. I had my camera set up on a tripod. I stood there with the infrared remote, clicking the shutter open and closed. Here’s what came up. 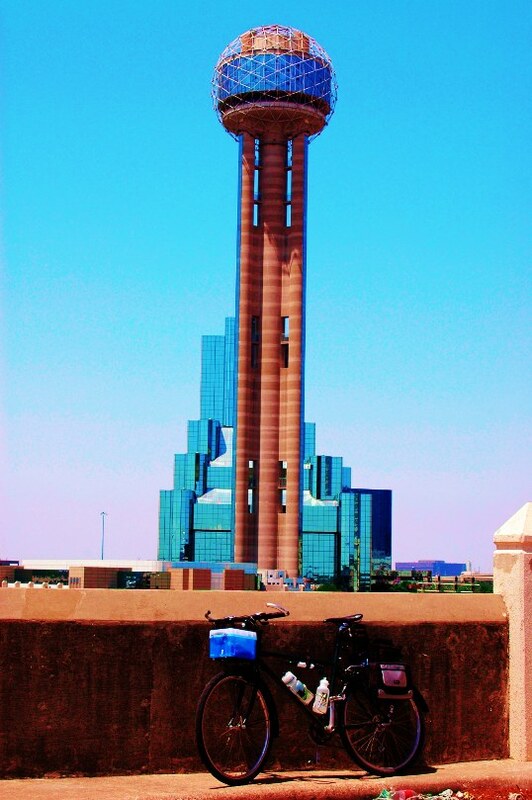 Reunion Tower and The Omni Hotel at dusk, from The Cedars.